Today a diverse coalition of civil rights, animal protection, labor, and environmental groups, and a journalist (me) have filed a lawsuit to strike down Idaho’s new “ag-gag” law as unconstitutional. Idaho’s governor “Butch” Otter just signed “ag-gag” into law last month. But we’re moving quickly to overturn this dangerous bill because it’s a direct attack on whistleblowers, investigators, and journalists. Most importantly, laws like this are an attempt to keep everyone from knowing what really takes place behind closed doors on factory farms and slaughterhouses. 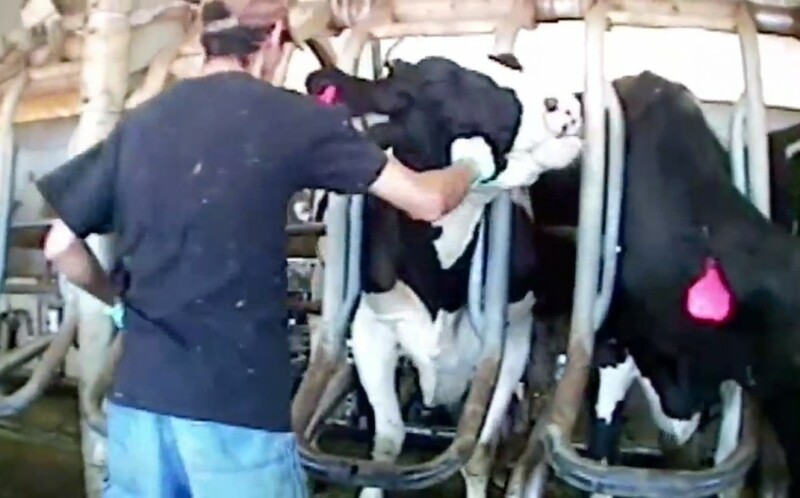 As a quick background: A wave of undercover video investigations by groups like Mercy for Animals and PETA have exposed horrific animal cruelty on farms. In Idaho, workers were exposed by Mercy For Animals punching, kicking, and sexually abusing cows. Rather than address these abuses, Big Ag is trying to keep you from seeing them. Idaho is the seventh state to pass an ag gag law, and the first to do so since 2012. I’m also a plaintiff in the first ag-gag legal challenge, in Utah. There, I reported on the first ag-gag prosecution in the country, against a young woman who filmed a sick cow being moved by a bulldozer, as she stood on the public street. I broke the story, and it created such public outrage that prosecutors dropped all charges within 24 hours. That’s why I’m a plaintiff in Idaho, as well. These ag-gag laws are turning my sources into into criminals, they are placing journalists like me in the legal crosshairs, and they are chilling a vibrant national discussion about animal protection, food safety, the environment, and workers’ rights. I wish I could be in Idaho today for the press conference, but I’m at TED about to speak about my book, and how protest is being labeled “terrorism.” I’m proud to be a plaintiff alongside groups like the American Civil Liberties Union of Idaho, Farm Sanctuary, Farm Forward, and the Center for Food Safety. And I’m honored that more than 16 professional journalism organizations have authored a letter to the court in support of my position, and in support of the First Amendment. These ag-gag laws cannot withstand public scrutiny. It’s time to shine a line on Big Ag’s attempts to keep us all in the dark.